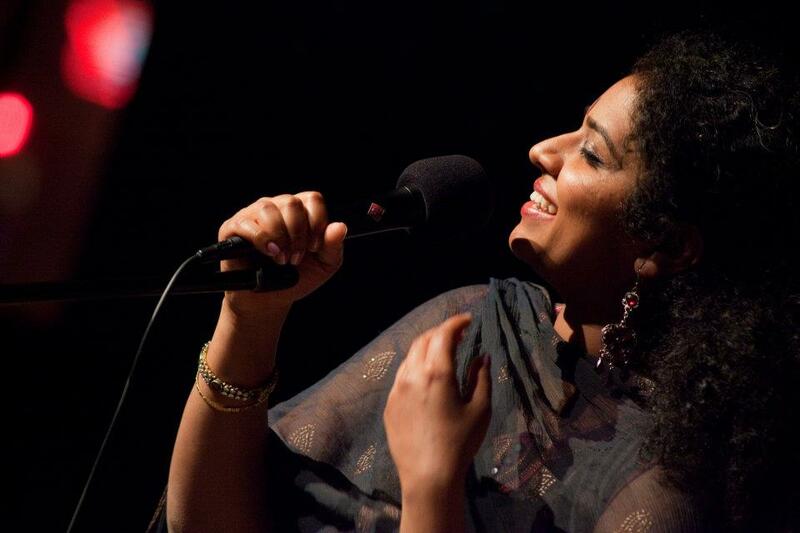 Roopa Mahadevan is a versatile vocalist grounded in the Carnatic (South Indian classical) tradition. Born and raised in Northern California, she received her formative training under Asha Ramesh and later trained under Suguna Varadachari in Chennai, India as a Fulbright scholar. She enjoys performing R&B and theater, as well. Roopa has performed in venues such as Carnegie Hall, Lincoln Center, and Hollywood Bowl, and was a lead soloist on Christopher Tin's album Calling All Dawns, which won the 2011 Grammy for Best Crossover Classical Album. Roopa played a show-stealing, acting-singing-dancing role in Bakwas Bumbug, a pioneering South Asian music theater production in NYC directed by Samrat Chakrabarti and Sanjiv Jhaveri. Based in New York City, Roopa is the artistic director of the Navatman Music Collective, an innovative Indian Classical Vocal ensemble. She is also a regular performer with the Brooklyn Raga Massive. Roopa was also an inaugural 2013 Fellow of IndianRaga. Voted #1 “Rising-Star Guitarist” in 2013’s DownBeat Critics' Poll and successively in the top-ten guitarists alongside Bill Frisell and Pat Metheny, Rez Abbasi guitarist and composer is among a rare breed of artists that innovate while preserving traditions. “Abbasi is living, breathing proof that jazz music can be as vital and boundary-pushing as ever” (AllAboutJazz.com). With twelve albums of mostly original compositions, Abbasi continues to forge new ground. Unfiltered Universe, released in 2017, is Abbasi’s third of a trilogy of albums with his group Invocation, featuring Vijay Iyer and Rudresh Mahanthappa. The compositions are based on his experiences performing with South Indian Classical musicians and dancers and were commissioned by Chamber Music America, his second commission from this prestigious institution. Abbasi was also commissioned by the New York Guitar Festival to create and perform live with his quintet, a new score for the 1929 silent film A Throw of Dice. The historic film is based on an episode from the Indian Sanskrit epic The Mahabharata. Seth Warren-Crow is a sound designer, composer, and percussionist. He collaborates with performance artist Heather Warren-Crow, exhibiting sound art at Diapason gallery in Brooklyn, Hungryman gallery in Chicago, Iron Gate Studios in Austin, and the Soundwalk Festival in Long Beach. warrencrow+warrencrow were artists/researchers-in-residence at the International Center for the History of Electronic Games. He is also Assistant Professor of Sound Design at Texas Tech University, and previously Musical Director for the Department of Dance at the University of Wisconsin at Milwaukee, where he taught sound design, music, and digital media and acted as resident composer, sound designer, and audio engineer. 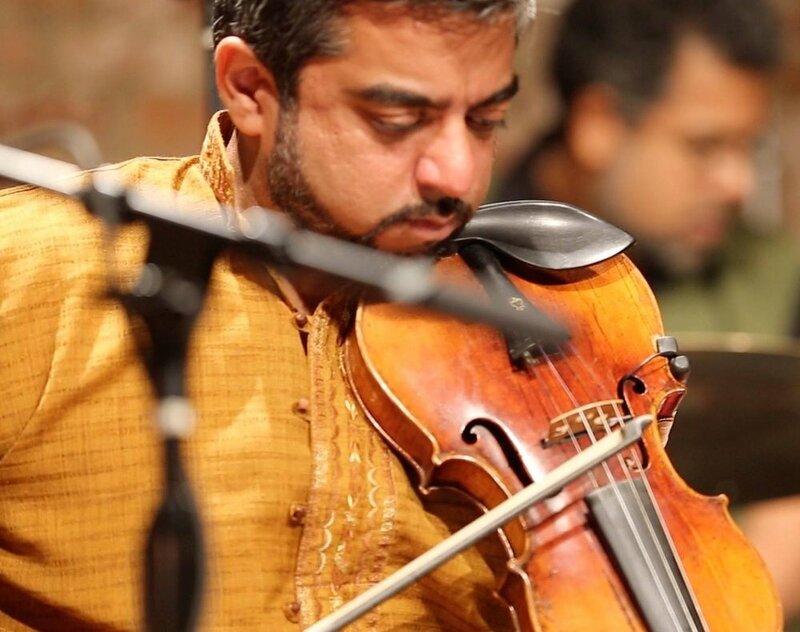 Arun Ramamurthy is a versatile violinist, composer and educator based in NYC. A disciple of the celebrated Carnatic violinist brothers, Dr. Mysore Manjunath & Sri Mysore Nagaraj, Arun has become one of the country’s leading Indian Classical and crossover musicians. Growing up in New Jersey, he trained in both Indian and Western classical styles. He has performed internationally in both traditional Carnatic and Hindustani settings as well as bridging genres with his own innovative projects. Arun has been fortunate to perform with esteemed artists such as Dr. Balamurali Krishna, Sudha Ragunathan, Anindo Chatterjee, T.N. Seshagopoloan, Mashkoor Ali Khan, Marc Cary, Awa Sangho among others. He leads the Arun Ramamurthy Trio, an ensemble that brings a fresh approach to age-old South Indian classical repertoire and raga inspired originals. As a composer, Arun has created new works for his Trio, for various Indian classical dance performances. Arun is also Co-Founder and Artistic Director of Brooklyn Raga Massive, a collective of forward thinking musicians rooted-in and inspired-by the classical music of India. He created the concert series Carnatic Sundays at Cornelia Street Café, an iconic jazz venue in New York’s West Village. Shobana Ram is a vocalist and dancer, who singing the New York Times called “a gently unstoppable force of nature.” She has trained in and performed Bharata Natyam and Carnatic vocal music performance for many years, and has collaborated with Parijat Desai for over 15 years both as a dancer and as a vocalist. As a dancer, she has performed as a bharata natyam soloist, as well as with other choreographers including Rajika Puri and Myna Mukherjee. Shobana currently sings with Roopa Mahadevan’s Navatman Collective. Shobana is also a full-time third-grade teacher at the Dalton School, responsible for all areas of students' academic and socio-emotional growth. She has also worked both as a classroom teacher and as a teaching artist in NYC public and independent schools. She has been an arts educator for K-12 in schools and cultural institutions. Her career has also included educational grantmaking, afterschool literacy programs, and teacher professional-development in arts education, for both general and special-education environments.